Hydrosol is focused on all-electric, holistic solutions starting with understanding your requirements, providing expert advice and design with best products and installers to give you a great outcome. It integrates the power of the sun (solar) with the use of water (hydronics) to provide your home with the most comfortable form of heating and cooling that costs little to operate and is good for the environment. Hydrosol evolved from the previous four decades of research and business around heat pumps. 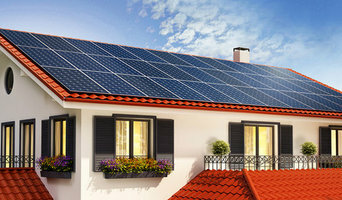 It integrates the power of the sun (solar) with the use of water (hydronics) to provide your home with the most comfortable form of heating and cooling that costs little to operate and is good for the environment. ADD VALUE – RESPONSIBILITY – GROWTH MINDSET – MEANINGFUL RELATIONSHIPS – TEAM – INTEGRITY - FUN THE DSV WAY •Our purpose is to consistently exceed our customers’ needs •We understand importance of quality. •We understand the importance of completion on time. •We understand the importance of the customer. •We understand how important it is to be easy to deal with. •Our key people have a life time of experience in Air-Conditioning and Refrigeration. •We are excellent at what we do and love doing it. We appreciate risk mitigation is important when selecting contractors to work with and commit to you that, by choosing DSV as a partner on your project, it will be the low risk decision to ensure a successful outcome. Our hand-picked teams’ outstanding workmanship, our solution-based focus and our competitive pricing structures all contribute directly to our success and track record on a wide range of projects. HISTORY: DSV Refrigeration & Air Conditioning Pty was formed from the merger of DSV Refrigeration and Home Environment Group Pty Ltd, in January 2016. The merger is the result of the two parties identifying a market opportunity to specialise in the luxury residential and bespoke light commercial projects, where quality, innovative solutions and technical expertise is essential. DSV Refrigeration operated successfully for over 15 years, as a specialist refrigeration and air-conditioning company in Melbourne, providing critical controlled environment solutions for IT data rooms and food facilities. Home Environment Group and its subsidiary, HeatCool Pty Ltd, is 100%Australia owned and operated family business that has grown to be one of the largest providers of heating, cooling and gas appliance installation and servicing, in the residential and light commercial sector in Victoria. Home Environment's Chairman Philip Coombs plays an active role in the operation and strategic direction of the company. Philip has over 35 years of experience in all sectors of the air-conditioning industry, where he owned and ran A.G. Coombs for over 25 years, building it into one of the leading air-conditioning companies in Australia, with an annual turnover exceeding $150 million when he sold the business in 2012. The combined competencies and resources of DSV will be second to none in the industry. At Hydrotherm Hydronic Heating we custom design every hydronic heating system to suit our clients individual needs, requests and budgets. Since our inception we have designed and installed thousands of hydronic systems in Melbourne and across Victoria. Every Hydrotherm hydronic installation is carried out by an in-house specialist hydronic technician; so you can have total confidence that your job will be installed and serviced in the most professional manner. With no hidden costs and all the extras included, our customers can experience all the comfort and efficiency of a Bosch hydronic heating system at an affordable, market leading price. 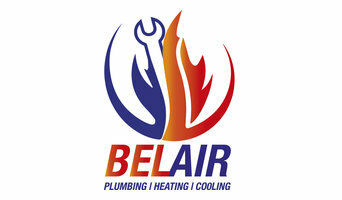 Belair Plumbing is a licensed and insured local company which specialises in Heating, Ventilations & Air Conditioning (HVAC). As well, we offer a variety of plumbing services including: Bathroom & kitchen renovation, fixing water leaks and burst pipes; repairing toilets and taps; hot water heater installation, service maintenance and gas fitting. 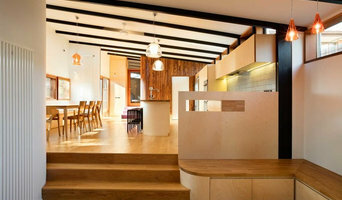 Are you searching for the best services in Northcote for the heating system? 24 Hours Plumbers is the place to be. The team of our plumbers is professionals and understand your need for Hydronic system repairs and Hydronic Heating system Northcote for servicing. We have been working in the field for more than 20 years and make sure all our customers are satisfied with our services. We also provide you a same day service. The team of our best Hydronic systems installation also offer you unbeatable services for hydronic system installation. Call now on 1300998126 and bring our experts home. We the Thumbs Up Plumbers are actively working in the entire area of Melbourne and all its suburbs too to give our Great services at your door steps. We are dealing in all kinds of heating services like as Hot Water Systems in Northcote and hot water system installation, repair and services as well. Moreover, our team offers you a same day services in the areas. Our professionals are always ready to serve you better. For more information regarding our services and prices reach us out online and also Book an appointment. Get installed with Hydronic Heating System from Heating Doctor Melbourne. We are serving in the Northcote with our team for 20 years. We offer Hydronic Heating system, Hydronic Heating Services, Hydronic system repairs and hydronic system servicing. Our professionals are highly trained for this work and always give desired results to their customer. We are available 24 hours on all 7 days to provide our high-grade services. You can book our services online. You can get free quotes about our services at. We will be with our service team at your door within a limited period of booking. Heating Doctor Melbourne is a leading company in Northcote for installation, maintenance, repair and replacement of Gas Wall And Space Heater Service. We are licenced and certified by the government in terms of installation and repair of the HVAC systems. Our technician's team is well trained and highly experienced in installing and repairing all kinds of heating system. So you sit back and see the benefits of our services. We are open on all days of the week and you can book for our services anytime. We are resolved to give our customer satisfactory results by our effective and suitable services. Come to Thumbs Up Plumbing for all your heating system servicing and repairing needs. We are an expert and experienced heating system servicing company where we cover all your requirements. The range of our top-notch services includes repairing and servicing of Gas ducted heating systems, Space Heaters, Heating System Repairs Melbourne, Wall Furnaces, Hydronic Heating systems. Our qualified team is also capable of giving you the best services for Faulty heating system repair Melbourne, Emergency heating system repair. Hence, when in need, look nowhere else than Thumbs Up Plumbing. So, wait no more, pick your phone and dial 1300 932 251 for the instant booking. Thumbs Up Plumbing is an old and trustable name in services of Air Heating System. Our Heating System Ringwood has been very effective in providing all kinds of heating system services and helps our customer to remain safe and healthy against the unusual weather change in Ringwood. We have experiences in all kinds of heating system services like Hydronic heating systems and Radiant heating systems. 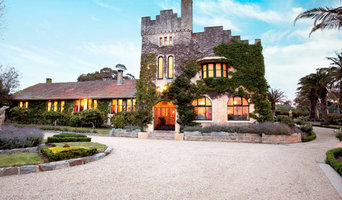 Our company provides the most Reliable Heating Systems in Ringwood. You can rely on our team and book our services by calling on 1300932251 or online. We are open 24*7 and resolved to serve you with the best. Are you in the search for the best and prompt Hydronic Heating System Ringwood repair and servicing? 24 Hours Plumbing is your true destination. Being an experienced and reputed company in the area, we ought to deliver you the best results for Hydronic system repairs and hydronic system servicing. It is our dedicated and hard working staff of professionals who can deliver you the best services for Hydronic system installation. The customers can also avail our services even on the same day of booking. In all the projects that we take, it is only one goal that we are chasing- The Customers' Satisfaction. So, what are you waiting for? Call us on 1300998126 and or reach us online to get your no-obligation free. Or you can contact us to get your queries and concerns solved. Get installed with hydronic heating system to protect yourself from the changing weather in Point Cook. KM Heating and Cooling offer varieties of heating system in various ranges so that we can fulfil the need of all strata of people. We have heating system products running from different energy sources such as Solar Hydronic Heating System and Hot Water Boilers Hydronic Heating Systems. Our technicians are adept and they understand the nature of the work. 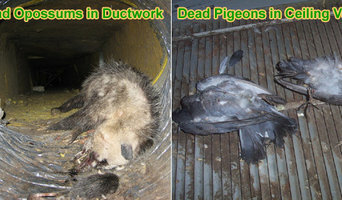 This system is more economical and beneficial in comparison to Duct heating system. So get installed with the heating system from our operators by booking for our services online. You can contact us online at contact us. At home, Australians use, on average, 40 per cent of energy on heating and cooling, so it’s wise to seek expert advice from a HVAC contractor in Craigieburn, Victoria on the most economical systems and models for your home. Your climate, the type of model you use and where you position it, for instance, will make a big different to your home’s comfort and how much energy you use. A HVAC contractor can also advise you on the best reverse cycle air conditioners, heat pumps, hydronic central heating and gas heating. Should you or anyone in your family suffer from allergies, they are also knowledgeable of the best anti-allergen filters and will be able to change your air conditioner’s filters, clean ducts or remove any debris around units. Other areas of expertise include refrigeration work, pool heating and dehumidification. Find heating and air conditioning contractors on Houzz. Look in the Professionals section of our website and search for Craigieburn, Victoria Heating and Air Conditioning contractors. Read reviews and see how a HVAC contractor might approach your Craigieburn, Victoria home’s heating and cooling challenges.